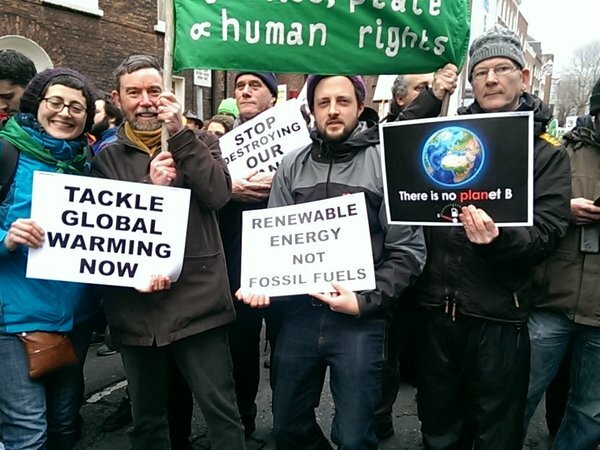 Afri attended the Climate March in Dublin on the 29th November to join with people around the world who were marching ahead of the UN Climate Conference in Paris calling on world leaders to take immediate action on climate change. Afri Coordinator, Joe Murray stated, “One of the problems about the debate on climate change is that people keep speaking in the future tense…about what will happen to our children and our grandchildren. Unfortunately, however, climate change is not a future tense issue, it’s a real and present danger. Another myth is that climate change only affects countries of the Global South. While it is true that countries in the southern hemisphere are among the most seriously affected, it is also having a profound effect on all countries, including Ireland. After the March Afri and Food Sovereignty Ireland launched the Food Sovereignty Proclamation at the Department of Agriculture. Food Sovereignty is an effective response to the challenges posed to food systems by climate change. 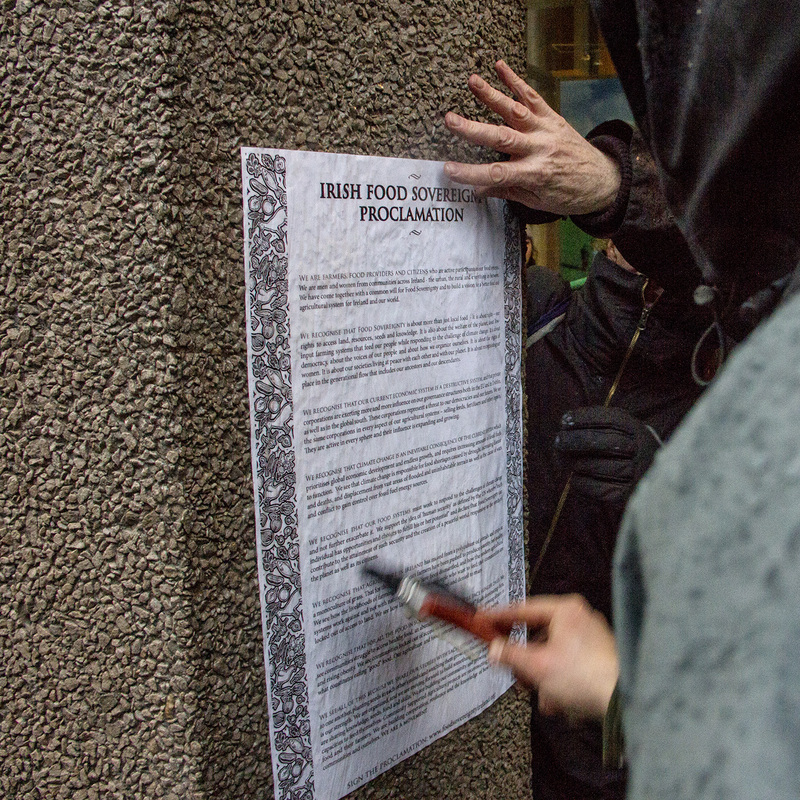 To read the proclamation and to sign it you can visit the Food Sovereignty Ireland website here.